Counterfeit Mercedes wheels subjected to a pothole at 30.1 mph (50 kph) sent a piece of rim flying, the Australian Genuine Is Best campaign said in a series of news releases Monday. Mercedes and GM collaborated on the test, which involved buying a set of phony Mercedes-AMG multispoke wheels, and running both them and real Mercedes wheels over potholes while driving a CLA 45 AMG. while the fake wheels disintegrated at just 50km/h (30.1 mph). This is the speed limit for residential areas in most parts of Australia,” Federal Chamber of Automotive Industries Chief Executive Tony Weber said in a statement. The car only had a driver, which meant there was barely any weight in the car to make the impacts with “Pothole No. 3” at GM’s Holden Proving Ground. Nevertheless, the fake wheels — counterfeit versions of a wheel that can be used on the Mercedes CLA 45 AMG, A45 AMG and C63 AMG models — suffered “major damage” in impact tests, according to Genuine Is Best. Videos show a piece of the rim breaking off both times. “You would have had an absolute tragedy if this breakage happened with a family on board at highway speeds,” Weber, whose organization is akin to the U.S Alliance of Automotive Manufacturers, said in a statement. “And the truth is these wheels could very well be on a family car on Australian roads — when we bought these wheels we discovered they were part of a larger shipment so there are more dangerous wheels exactly like this in the country, and possibly already on cars. The real tires weren’t damaged in the rim or otherwise on the wheel in five spoke-impact tests and one between-spoke test. The phony tires lost part of the rim in single instances of both type of tests. The wheels: Cast from a real mold? 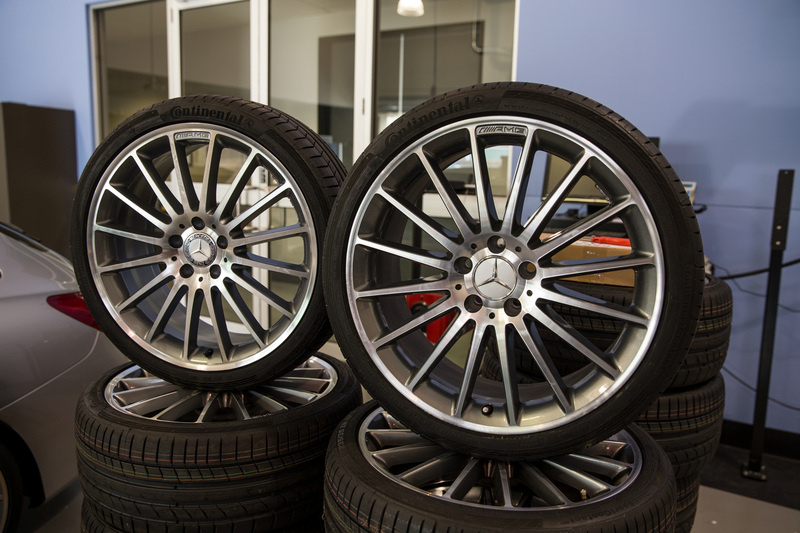 The fake wheels were 19×8-inch with a 5×112 mm stud pattern, which is accurate for the CLA 45 AMG wheel. However, its 43 mm offset was less, though GM and Mercedes engineers said that shouldn’t be enough to change performance. The testers concluded the phonies were apparently made using a previous-generation C63 AMG wheel mold — and the wheels even had Mercedes ID codes. However, the fakes weighed more than a pound heavier than the likely source C63 AMG wheels, and 0.77 pounds lighter than the CLA AMG multispoke wheel. “The fake wheels were found to be only slightly unbalanced,” a news release states, in an unintentional bit of humor. The counterfeiters also apparently tried to remove a “Made in Germany” stamp and filed a Mercedes star off of at least one of the parts. Weber noted that wheels are popular to replace — let’s face it, you can make them look a lot cooler. But form can’t come at the expense of function. “But what people need to remember is that while different wheels change the look, they could also change the car’s safety performance,” Weber said in a statement. vital to do so with a genuine part. New Genuine Is Best ambassador Mark Skaife, the winner of multiple Australian Touring Car and Bathurst 1000 races, echoing Weber’s comments and also encouraging Australians to use OEM supply chains for parts. highway speeds the consequences could be severe,” said Skaife, who probably knews a few things about wheel failures. “The truth is these wheels are likely to be on cars out on Australian roads now. The Australian Automotive Aftermarket Association on Thursday attacked the counterfeit part test as a slight on the entire aftermarket industry. However, while the Genuine Is Best campaign does mean to elevate new OEM parts above others, the phony Mercedes wheels seem to fall into the grey-market realm of parts sold online as OEM or OEM “surplus” but unvetted by an formal OEM or Opt-OE channel — not truly aftermarket. 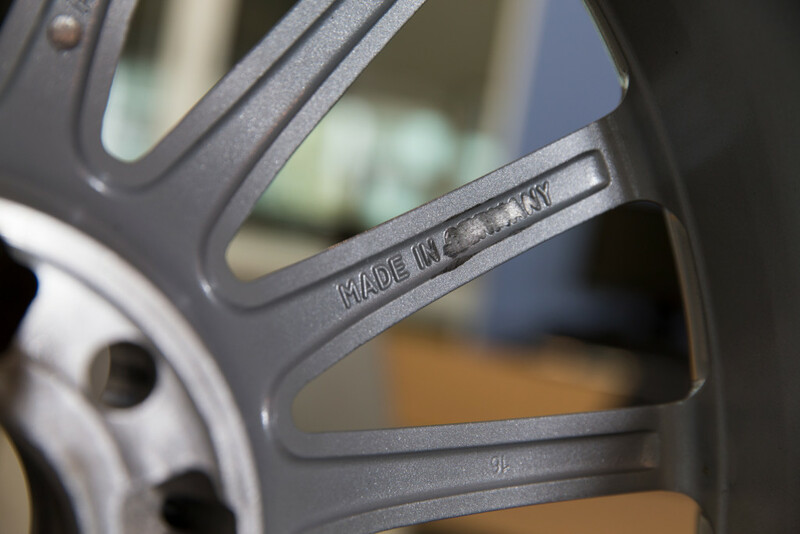 “These wheels should not have been imported into the country – they do not meet Australian Standards and would never have been sold by any reputable Australian wheel retailer,” AAAA Executive Director Stuart Charity said in a statement. “The illegal wheels used in the FCAI stunt should never have passed through Australia’s border protection system. And those selling illegal wheels should be prosecuted under consumer protection laws. “The FCAI stunt was simply a scare campaign funded by the car industry as an advertisement for high profit margin car makers’ branded products. Unfortunately, it was also an expose´ on how to buy imported illegal products that do not meet Australian Standards. The materials released this week were meant to refer only to counterfeit parts, a spokesman for the campaign confirmed Tuesday. But aftermarket parts can still be a problem because you can’t be sure they had the kind of testing of an OEM part, according to Genuine Is Best.